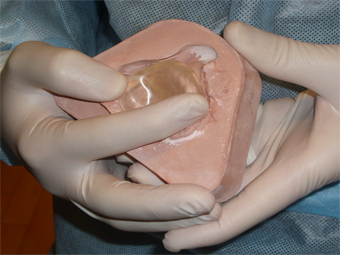 What is Nasoalveolar Molding (NAM) for Cleft Lip or Palate? 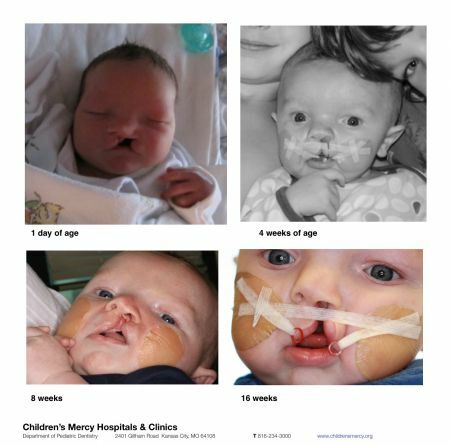 If your infant was born with a cleft lip or palate, we can help. During the first weeks of his or her life, we use Nasoalveolar Molding (NAM) to shape your baby’s gums, lips, and nostrils non-surgically in order to reduce the cleft’s severity before he or she undergoes plastic surgery at about three to six months old. Only an orthodontist can offer NAM to your infant or child. Burleson Orthodontics is the only orthodontist in the Kansas City, Missouri (MO) area that performs Nasoalveolar Molding (NAM) procedures for cleft lip or palate exclusively at Mercy Hospital. When Might My Baby Need NAM? Orthodontists usually reserve NAM for babies and children with large clefts or deformed nostrils. 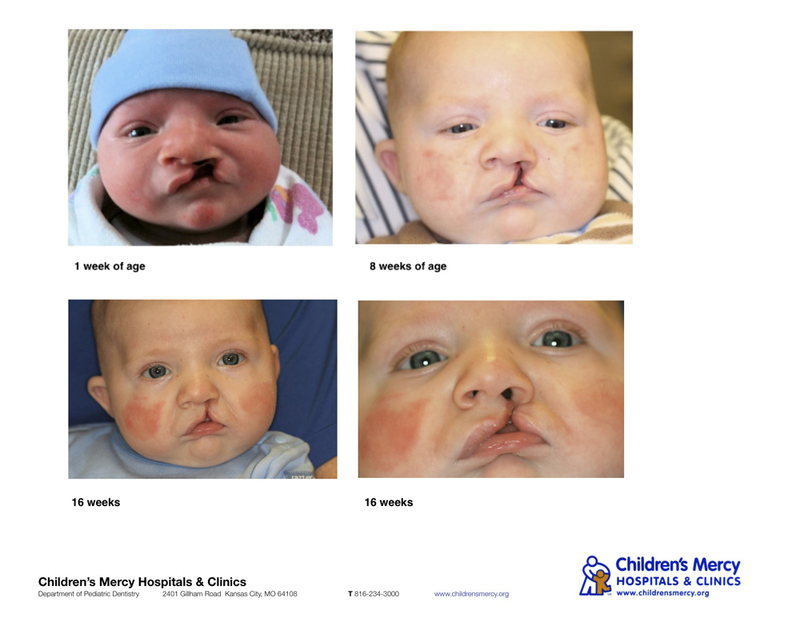 In the past, treating these children required multiple surgeries: one to pull the lip together, a second to improve its positioning, two more for the nose, another to close the palate, and so on. Imagine the trauma. 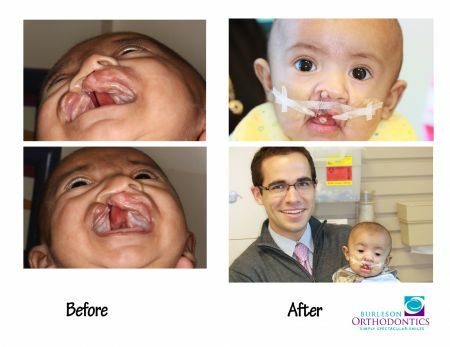 NAM allows us to improve a large cleft prior to surgery. We invite you to read a brief overview of Nasoalveolar Molding (NAM) for infants with cleft palate. After we help make the cleft smaller, the surgeon can mend the shape of your child’s nose with a much thinner scar in a single surgery. And that improved result means your child will likely require fewer surgeries later in childhood. We first fit your baby with a custom-made molding plate that looks like an orthodontic retainer. We attach the device with small rubber bands that are taped gently to baby’s face. 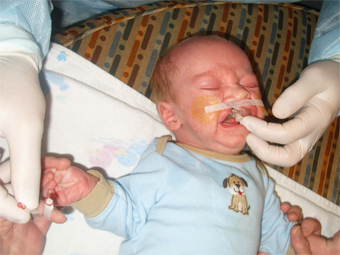 The procedure causes your baby no pain, and after the first few days babies rarely notice it. In fact, it just feels like part of their face to them. As they wear the molding plate 24 hours a day, seven days a week, it quietly helps to direct the growth of their gums toward an optimal surgical outcome. Moms and dads do their part by feeding baby with the molding plate on, changing the tape and cleaning the plate daily. Every one to two weeks, our orthodontist gently sculpts the molding plate’s plastic to adjust its shape to your baby’s needs. Each adjustment we make seems tiny, but it begins to guide baby’s gums and nose into greater symmetry as they grow. Each session lasts about 60 minutes. Once the cleft has shrunk enough, we attach a little post to the molding plate and reposition it. We will gently adjust that over time to lift baby’s nose and open his or her nostril. By the time of surgery, your baby’s nose has lifted and narrowed, the gap in their gums is smaller, and their lips are closer together. By creating this smaller gap we ensure that the surgeon applies less tension when closing baby’s cleft. NAM may seem scary at first, but we assure you that many moms and dads of our baby patients are so glad they made the choice to come in and see us. We think you’ll agree these pictures speak for themselves.